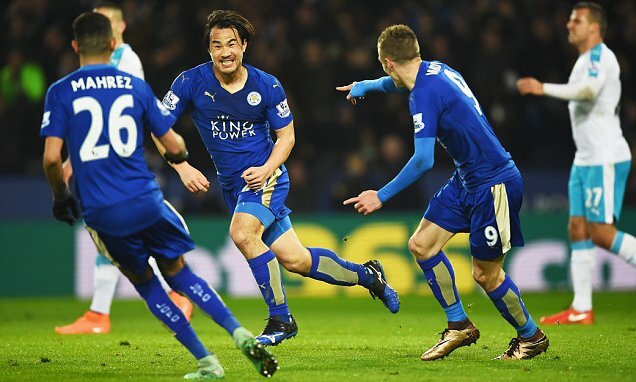 Watch the video below as Japans Shinji Okazaki scores a spectacular overhead volley to keep Leicester City top of the English Premier League. Leicester signed Okazaki from German club FSV Mainz 05 in the summer for around 7 Million GBP and he has been an integral part of the team that is surprising the footballing world by leading the race for this seasons title. This goal in the 1-0 victory over Newcastle kept the clubs dreams alive and made him a hero in Leicester. Okazaki is Japans all-time top scorer in the German league with 28 goals during his 4 year stint playing for Mainz and previously Stuttgart. He is also a current Japanese international with 99 caps and 48 goals making him the 3rd all-time top scorer for the Blue Samurais. Good luck to Shinji and Leicester, lets hope they can do it!! !